During the Berkshire Hathaway annual meeting last weekend, Warren Buffett surprised the audience with an earnings preview immediately after returning from the lunch break. Berkshire Hathaway filed a 8K Report with the SEC today with a transcript of the comments that were made. 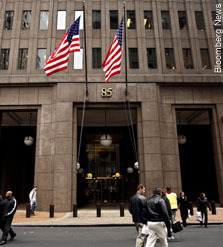 Berkshire will file the 10Q Report for Q1 2009 after the close of trading on Friday, May 8. … We’re lucky in this particular period to be in the insurance and utility business. They are relatively unaffected by the recession, whereas most of our other businesses are anywhere from significantly to drastically affected by the recession. We had an underwriting profit in our insurance business. It was a little larger than last year. The fact that Berkshire’s two most important businesses are relatively uncorrelated with the economy accounts for a relatively modest decline in operating earnings. A decline of approximately 10% does not seem like a calamity given the distressed economic environment in Q1 2009 compared to a year earlier. While the recession officially began in late 2007, the massive contractions in GDP and employment only took place toward the end of 2008, so one would have expected Q1 2008 results to be significantly better than Q1 2009 results. The utility business earnings are reported down somewhat, but there were two items that account for that. One is that, on our Constellation Energy deal, which blew up last year, we reported a significant gain on it, we’ve got a bunch of Constellation stock. And that is marked to market and goes through our income account every day in theory, but certainly every quarter. And Constellation was down somewhat during the quarter. So that got charged against the utility earnings. And a larger item was a payment, and the final payment, in terms of options that were issued 10 years ago, which had the effect of increasing Berkshire’s interest in MidAmerican, which we like. But we wrote a check, a significant check, with MidAmerican to buy out the option. And that got recorded as an expense in the first quarter. The utility earnings are more than satisfactory, but those two items hit it. It is interesting that the Constellation Energy stock that Berkshire received as part of the break-up fee somehow is reflected in “operating earnings” as defined by Berkshire to exclude gains and losses on securities. There must be some reason for this categorization which will appear in the forthcoming 10Q report. Then when you get into all of our other businesses, with just a couple of exceptions, those businesses are basically down. I mean they’re all getting hit to varying degrees by the recession. I anticipate that Berkshire’s Net Jets subsidiary must have been particularly hard hit in Q1 given the negative sentiment associated with corporate spending on private aircraft. The housing related businesses such as Shaw were almost certainly hit by the recession as well. The quarter was not one for spending on big ticket items such as home furnishings or jewelry either. Our book value per share went down about 6% in the first quarter, which is the combination of security markets and the fact that the credit default swaps, which I’m the one responsible for writing them. That experience has turned worse even since I wrote the annual report in terms of bankruptcy. So that loss, or potential loss, we’re actually still funds ahead by a substantial margin, but that potential loss, and I would say expectable loss, is reflected in the first quarter figures. And of course there’ve been some bounce back since March 31st, but that’s pretty much the story of the first quarter. Berkshire ended the quarter with $22.7 billion in cash but spent $3 billion on the Dow Chemical preferreds on the first day of the second quarter. This leaves Berkshire with under $20 billion. Given Buffett’s desire to keep a minimum of $10 billion in cash on hand at all times to provide liquidity in the event of a major insured event, this leaves around $10 billion available for acquisitions of securities of businesses. And I wouldn’t be surprised, I guess I would almost be surprised if the opposite happened, if the world changed much over the remainder of the year. I think that we will continue, barring some huge natural catastrophe, we will do quite well on insurance. We will do well in the utility operation and we won’t do well on most of the other operations. But we will have significant operating earnings, which I mentioned is about $1.7 billion the first quarter. In terms of looking at the operating earnings as a source of new cash for additional acquisitions, Buffett mentioned that approximately $1 billion of the operating earnings for the first quarter come from the utility business and will be reinvested in that business. The remainder of the operating profits are available to Berkshire to reallocate to new opportunities. It appears that Berkshire will be building up cash at a steady rate this year despite the gloomy overall outlook given the stability provided by the insurance and utility businesses, and assuming that 2009 is a “normal” year in terms of insured disasters.